Successfully Added DLP Wi-Fi Projector "PicoPro" - 60 Inch Projection, 1000:1 Contrast, 50 Lumens, Power Bank Option to your Shopping Cart. Mini DLP Wi-Fi LED Pico Projector with 60 Inch projection size, 50 Lumens and 1000:1 contrast. Ultra portable and ultra powerful, this projector will wirelessly render all your media hair sharp. The “PicoPro” DLP projector is the perfect companion when it comes to mobile projection. 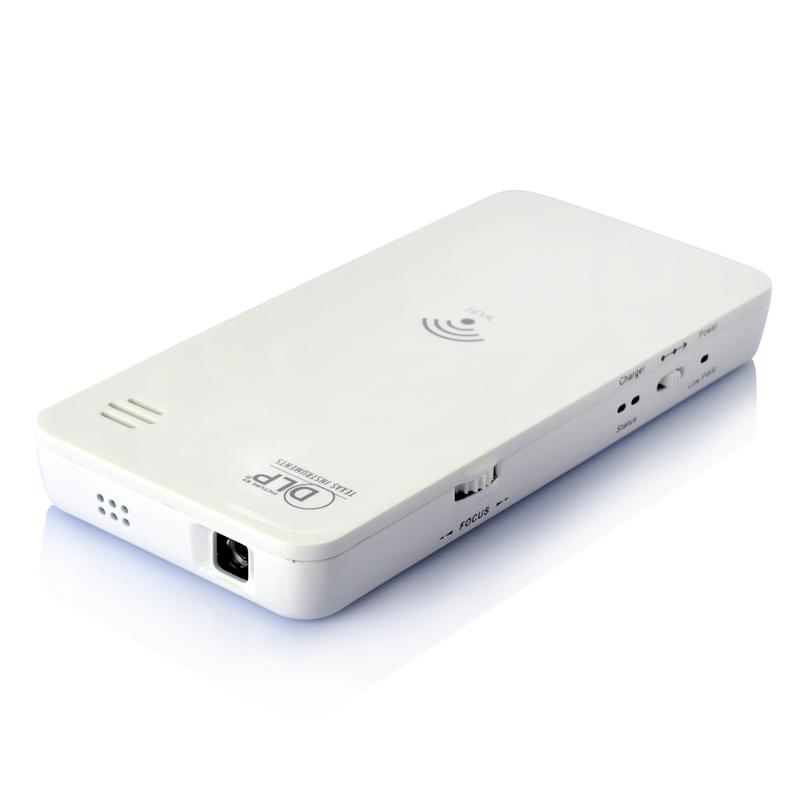 Lightweight and ultra small, this video projector connects wirelessly through Wi-Fi to your Tablet PC, Phone or PC. Broadcasting its own Wi-Fi signal, all you’ll have to do is turn on your phone’s Wi-Fi, connect to the “PicoPro” and install the app. After this is done, you’ll be able to display your pictures, videos, spreadsheet presentations and even the live feed from your camera in 60 inch glory. Using DLP (Digital Light Processing) technology created by Texas Instruments, a crystal clear image can be reproduced with fewer lumens than regular LED projectors. 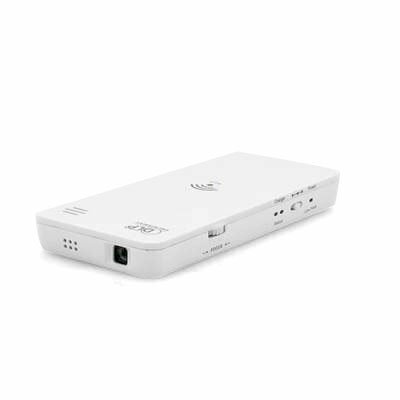 Coming with a 2500mAh built in battery, you’ll have enough juice for up to 90 minutes of projection and doubling as a power bank, you’ll be able to recharge your mobile devices on the go or while projecting. Having a micro SD card slot, playing media of a microSD card will also be possible and supporting most common used media files such as AVI, DIVX, MKY, DAT, VOB, MPG, MPEG, MOV, MP4, RM, RMVB, WMV and more, the “PicoPro” is a true media player. Perfect for business presentations, classroom presentation or for home use, the “PicoPro” lends itself to every occasion and can easily be transported in your backpack or even pocket. Order the future of projection today! In stock now, this product can be dispatched within 24 hours of ordering and comes with a 12 month warranty. Brought to you by the leaders in wholesale electronics and projectors, Chinavasion.